We are hopping with a special guest - The talented France Martin aka Frenchie. 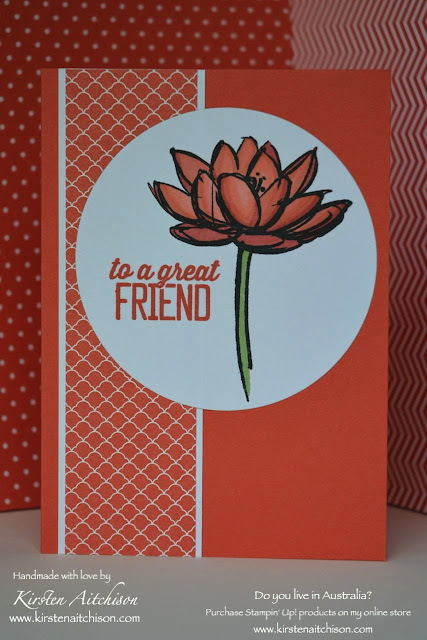 The theme of this blog hop was to CASE (Copy And Selectively Edit) one of Frenchie's cards. I chose this card because it is using one of my favourite stamp sets, I just love the flowers from this set. And..... I am a bit of a pretty patterned paper hoarder ...ahem... "collector" (I am sure a lot of you out there know what I am talking about), so I need to find ways to start using my papers and this card fits the bill. 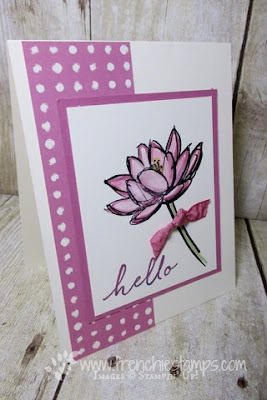 To checkout Frenchie's card in more detail click here. Because I love this stamp set so much, I couldn't choose which image I wanted to use so I ended up making a card for each stamp in the set. 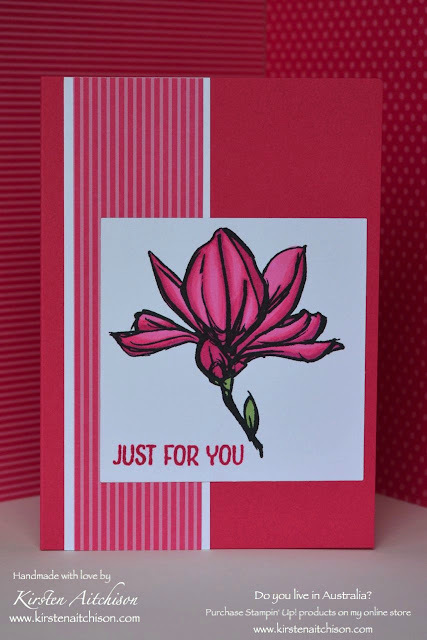 To create my cards I started out by stamping all the images from the Remarkable You stamp set on some Whisper White cardstock. 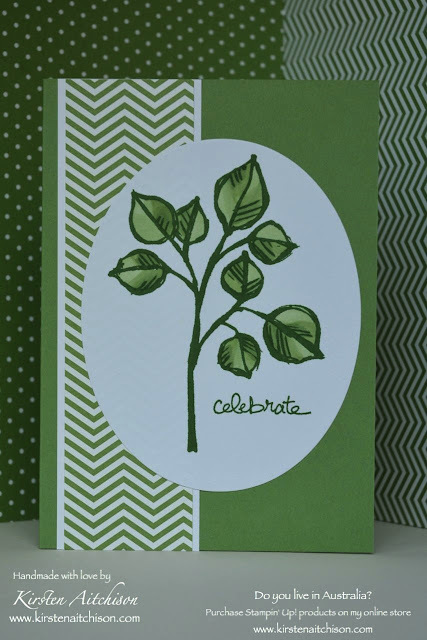 I used Memento Tuxedo Black for the 3 flower images and Garden Green for the leaf/branch image. I then chose my colour schemes based on my Blendabilities markers collection - I went with Melon Mambo, Calypso Coral, Daffodil Delight and Wild Wasabi. Using the Dark, Medium & Light markers in each colour set, I coloured my images. I used the Medium Wild Wasabi to colour the flower stems. Once I'd coloured my images, I searched my vast collection of stamp sets for some nice sentiments. The sentiments helped me decide which shape I would use to cut out each image. I wanted each card to be a little different so I went with a square, circle, rectangle & oval. To cut out the square, circle & oval, I used the relevant framelit set, magnetic platform & big shot. And to cut out the rectangle, I used my paper trimmer. 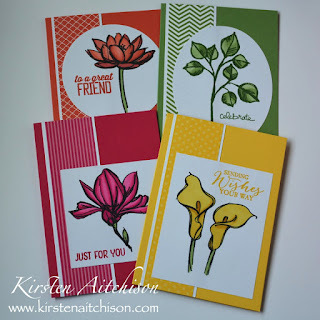 Once cut out, I stamped the sentiment on each using the same ink colour as the Blendabilities markers used, except for the leaf/branch image where I used the same colour ink that I stamped the image in (Garden Green). My sentiments all came from different sets. The sentiment on my Melon Mambo card came from the retired Floral Wings stamp set, the Calypso Coral sentiment came from the retired Simply Wonderful SAB stamp set, the Daffodil Delight sentiment is from the current Butterfly Basics stamp set and the sentiment on my Wild Wasabi card came from the retired Good Greetings stamp set. I love to use up my scrap cardstock (another thing I like to keep, all on the off chance it will come in handy), and I found a few strips of Whisper White that were all the same width (4.5cm) so they helped me decide how wide my DSP strips would be. So I then went to my Designer Series Paper stacks and found my matching colours. I chose a different DSP pattern for each card. I cut a 4cm strip of each DSP and mounted it on to the Whisper White strips using Snail adhesive. I prepared 4 card bases using the matching coloured cardstock for each image and then mounted the white & DSP strip to the matching card front using Snail adhesive. Lastly I mounted the cut out images on top using more Snail adhesive. All finished! I can't choose a favourite, I love them all. Love them all. Great cards. What an awesome set of cards, love them. Thanks so much Jessie. With how these turned out, I think I'll be using more bright single colour combos in the future. 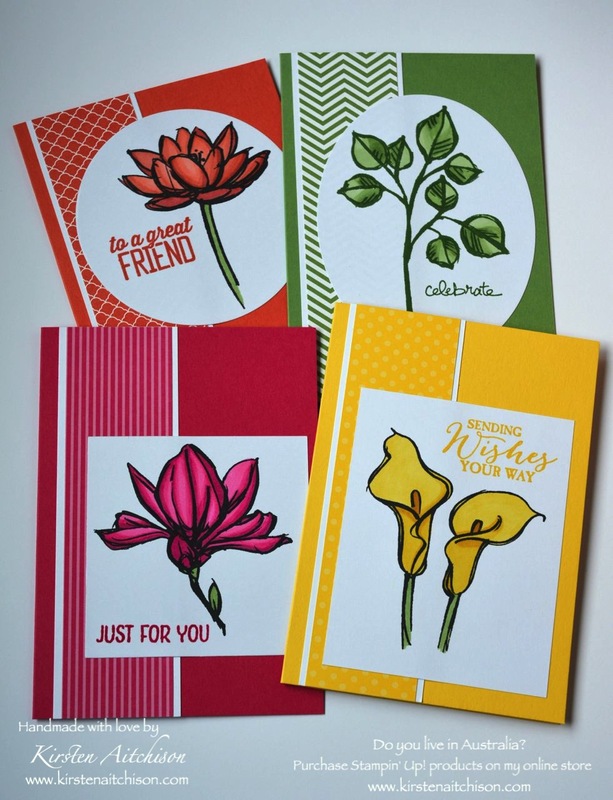 I just love these cards, so bright and cheerful. 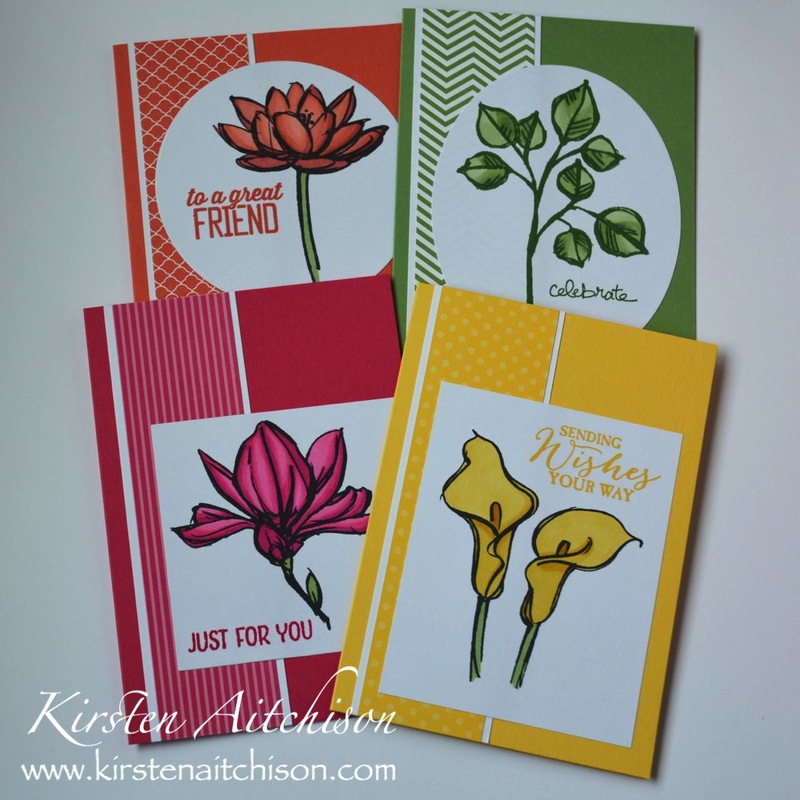 These are all so stunning Kirsten! I love your style. Pinned them already, I have a feeling you are going to get lots of repining. Wow! Total wow! I love the cleanness of the style. This is a gorgeous set of cards! Beautiful cards - love the vibrant colours! Beautiful cards. I love the choice of colors you used. Very well done. Love all the colors. Beautiful designs and great coordination of the papers. 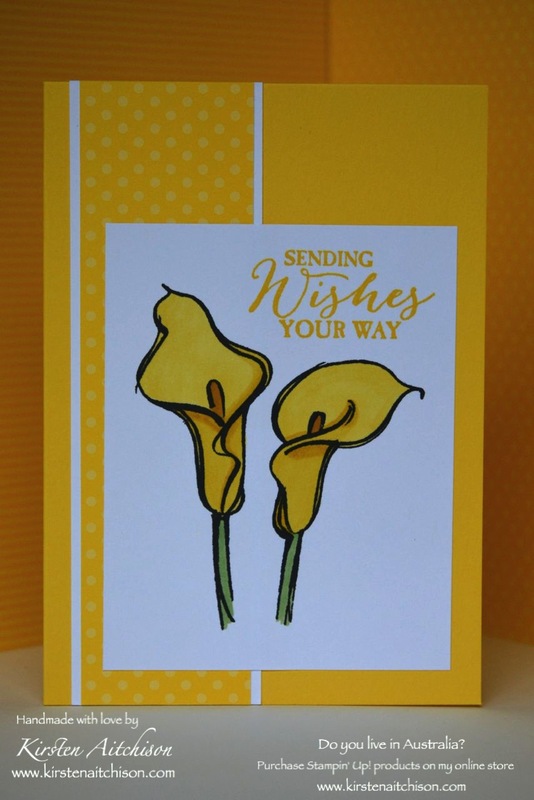 I have to go with the calla lily. No matter what color you make it. . . . it wins hands down with me. Thank you for the inspiration. Thank you so much CM. I love Calla Lillies too. I decided to go with yellow for that stamp because I really love the Yellow Calla Lillies I have growing in my garden. So clean and classy! I especially like the Coral and Mambo ones. Prob cuz I like those colors, but I also really like the circle shape.